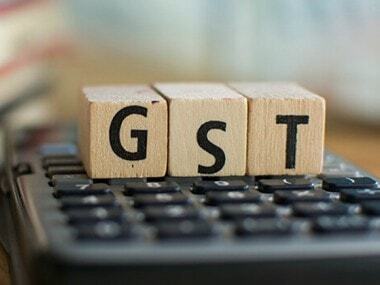 New Delhi: The government has detected GST evasion worth Rs 12,000 crore in 8 months till November, a senior tax official said on Wednesday. "We started anti-evasion measures from April onwards, and from April-November we have detected Rs 12,000 crore of GST evasion. This is huge compared to what happened in central excise or service tax side. There is huge evasion. There are smarter guys outside who knows how to pocket the money," Joseph said addressing an Assocham event. Joseph, who looks after an investigation in the CBIC, said almost Rs 8,000 crore worth GST evasion has been recovered by the tax officials. Goods and Services Tax (GST), which subsumed 17 local taxes, including excise duty and service tax, was introduced on 1 July, 2017. Since it was a new tax, the government had decided to go slow on enforcement action in the initial months of its implementation. Joseph said only 5-10 percent of the 1.2 crore assessees are evading GST and bringing a bad name to the industry. "We need to improve compliance mechanism." On industry concerns as to whether a change in government might lead to an overhaul of the GST process, Joseph said: "With all the apprehensions that you have, whether the election results are going to be bad for the GST or not, I can tell you very clearly that the same politicians whether in opposition or ruling party, they all came together to conceive this. "There may be some changes in law, some procedural changes can definitely happen, but it will not be lock, stock, and barrel as in the case of Malaysia." In July, the CBIC had put up in public domain draft GST return forms 'Sahaj' and 'Sugam' and sought public comments. These forms will replace GSTR-3B (summary sales return form) and GSTR-1 (final sales returns form). "I do agree, there is a real serious issue in that (Advance Ruling). The Centre is trying to push that there has to be a single advance ruling authority but unfortunately think about a situation where every state says I have equal right as the Centre. So, think about a situation where a national bench is constituted with 39/40 people sitting, how do you think it will work. That is where the problem is coming in," Joseph said. Currently, what the government is doing is they are going through the entire thing, studying the issue and then issuing a clarification, the member noted. "Once the clarification is issued, the entire advance ruling thing becomes null and void. For some time, you have to adjust to that situation till a trust is developed between the Centre and states," Joseph added. 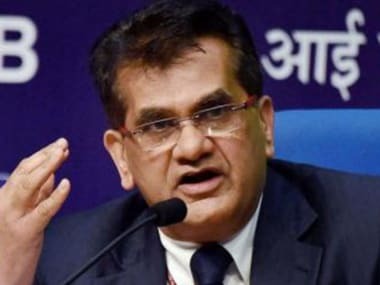 Further, the solar industry too was left in a vexed situation when the Maharashtra AAR said that 18 percent GST rate would be levied for installation works, but the Karnataka-bench of AAR passed an order levying 5 percent GST on the same. On concerns over availing input-tax credit, Joseph asked the industry to submit their representations, backed by data, along with suggestions.